Honda is Having it's Pinterest and Eating it Too! “We came, we saw, we pinned”! Pinterest is a popular, photo-driven social media platform created through boards that represent “things we love”. Pinterest is currently the third most trafficked social networking site behind Facebook and Twitter. Between January and February alone Pinterest jumped 50%. In fact, Mark Zuckenberg, Facebook's power boy is busy pinning. The facts: Pinterest, launched March 2010, one of the fastest-growing platforms, reaching 10 million monthly visitors (faster than Facebook or Twitter did). It ranks among the top 30 U.S. sites by total page views with nearly 85% of activity on the site coming from females. Upper income females that tend to linger for long periods of time. Pin-bait for automobile marketers as car specialists agree that women can influence auto sales up to 85%. Pinterest is a place where friends and fast friends meet and bond on common likes. Since it is mostly women it's like a sorority. Brands like Honda understand the power of the female buyer and have migrated some of their social-media efforts over to Pinterest. Honda's Pintermission CR-V campaign offers pinners $500 to take a 24 hour Pinterest break to get out to do some of the stuff they're pinning about. Chosen pinners so far have promised to take the time to learn how to sail, surf go on a “date night” , and explore a new travel hide-out. Traditionally, automotive manufactures and dealers are slow to react to such a movement, but those that do interact in a highly creative manner will benefit by an engaged audience ready to spread your marketing message. If your agency hasn't suggested to go Pinterest, ask them why! 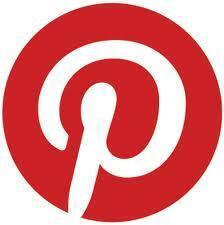 To brainstorm ways your brand can become part of the conversation on Pinterest contact me, Francie Finn, avid pinner.